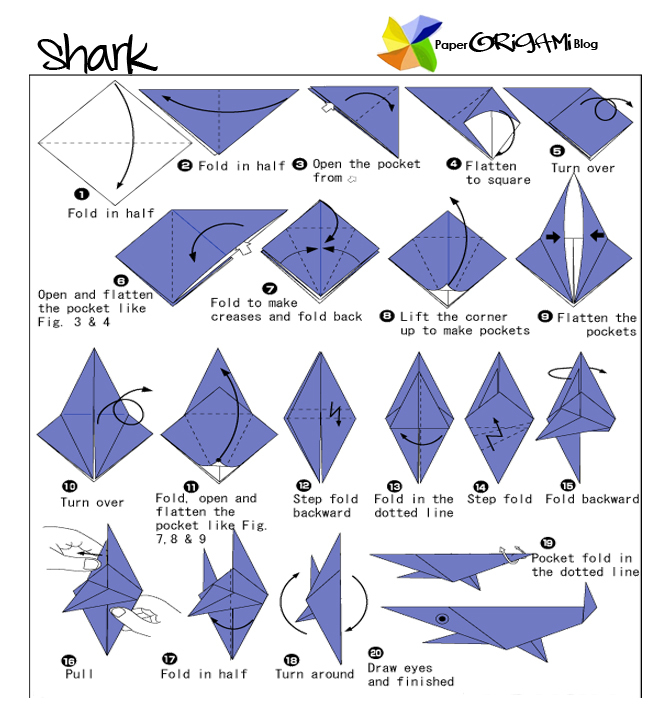 Shark Origami: Here I'm gonna show you how to make shark Origami. Are sea creature which can be classified as dangerous. Almost all people has a dilemma in shark. Whenever I cross the ocean there is always worry in my mind about shark attack, just what i always seen in movies. Shark has a streamline body for swimming fast.Has strong teeth with plenty of razor like teeth. Shark has different species some of the famous family of sharks are great white shark, tiger shark, blue shark, mako shark. Just recently I was amazed at the TV series which I viewed especially in national geographic channel They feature a great white shark attack by a whale. Although shark are dangerous sea creature still there are many people who love sharks. In origami we can easily fold its origami. 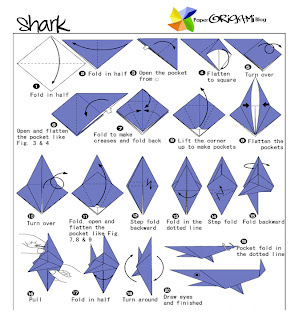 see instruction below in folding shark origami.